Finding a new or resale property for sale in La Zenia, Orihuela Costa, Costa Blanca is easier than you think when you rely on E-Style Spain. We are proud to offer the best selection of properties on the market in the Southern Costa Blanca. Our wealth of experience in Costa Blanca South property guarantees you a service that is second to none. No matter what you are looking for, we can help you find it. After all, we have been involved in the Spanish real estate market for the last 20 years. La Zenia is one of the most privileged spots on the Orihuela Costa as it offers quality beaches, all sorts of amenities close by, nightlife and daytime activities, water sports... Not to mention the largest shopping centre in the Alicante province, Zenia Boulevard. Thousands of tourists and permanent residents from all over Europe favour this location. 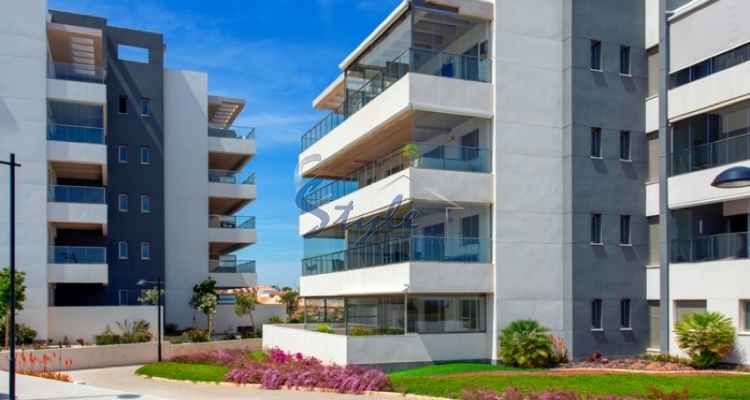 We can offer you apartments, townhouses and detached villas for sale in La Zenia. Tell us about your requirements and we will search for the right property for you. The banks in Spain are now more confident to make credit more freely available. For this and many other reasons, now is the right time to buy property in La Zenia, Orihuela Costa, Costa Blanca.